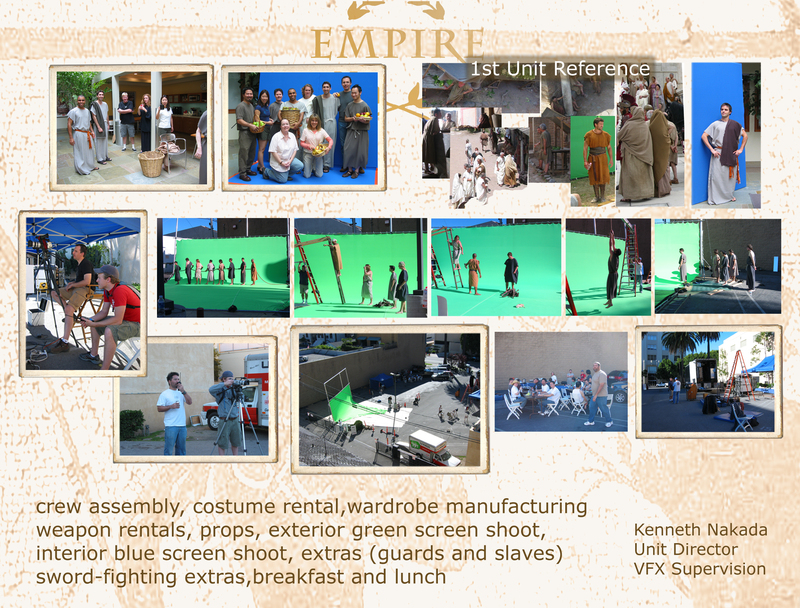 For Empire, we set up a green/blue screen shoot for Roman citizens, slaves, and our stunt coordinator with fight training soldiers. 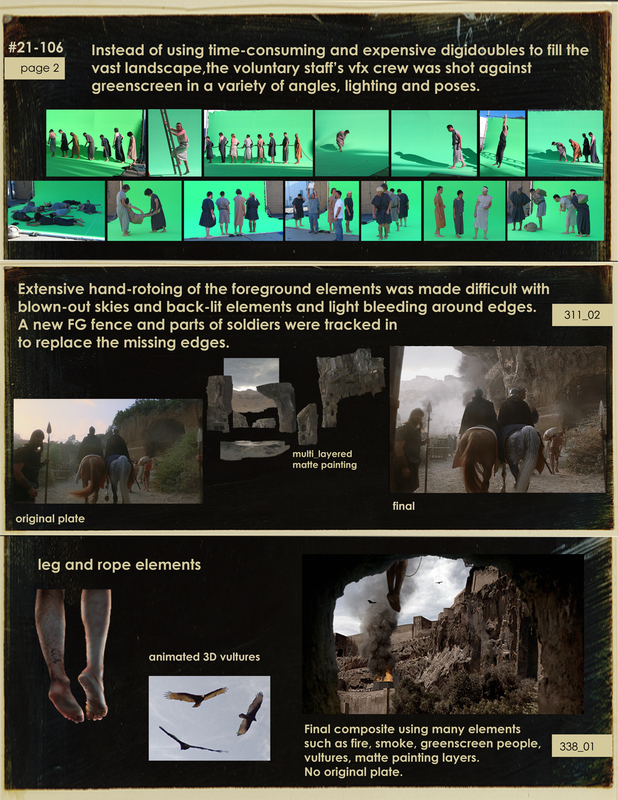 We were happy that Production had the confidence in us to photograph quality elements within a given budget. It was a great collaboration with other departments of Production, vendors, rental companies, Nick Lund-Ulrich for his cameras, R!OT Pictures, and the city of Santa Monica.